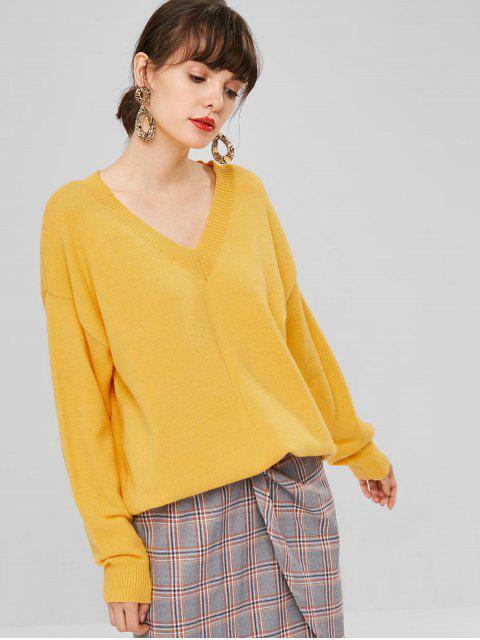 [43% OFF] 2019 Oversized V Neck Sweater In RUBBER DUCKY YELLOW | ZAFUL ..
Looks exaclty like the picture, love this casual style! 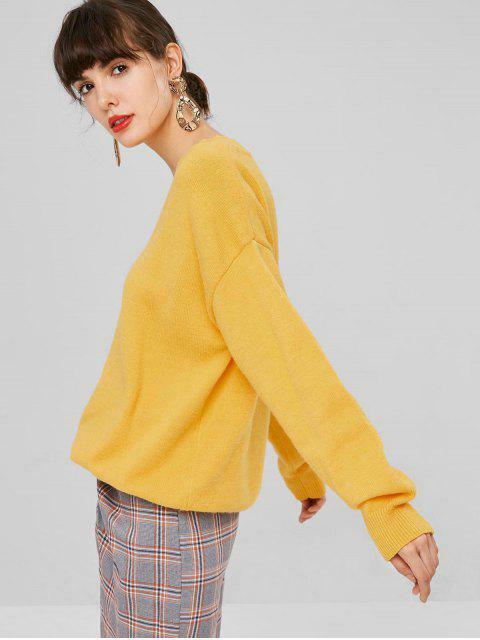 Give your cooler-weather style an update with this cool, standout sweater. Cut with a relaxedly oversized profile, it is the classic style with the adorable v-collarline and a bright hue. It's the ideal piece with the perfect balance of the modern and vibrant style that's quick to become your new fave.